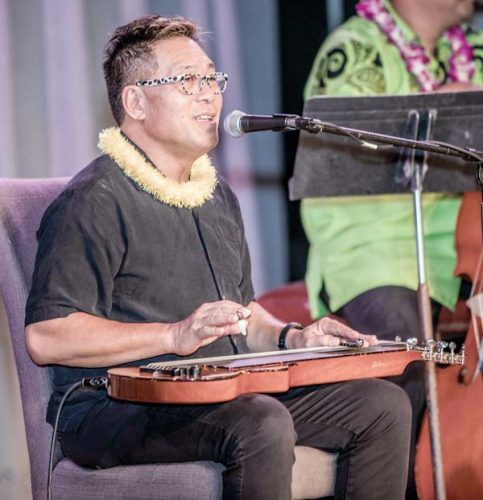 This esteemed musician will join fellow artists at the ninth annual Maui Hawaiian Steel Guitar Festival, which be held April 28 through 30 at the Ka’anapali Beach Hotel and the Queen Ka’ahumanu Center. This free event features master Hawaiian steel guitar players from around the world performing and teaching the only instrument thought to be indigenous to Hawaii. 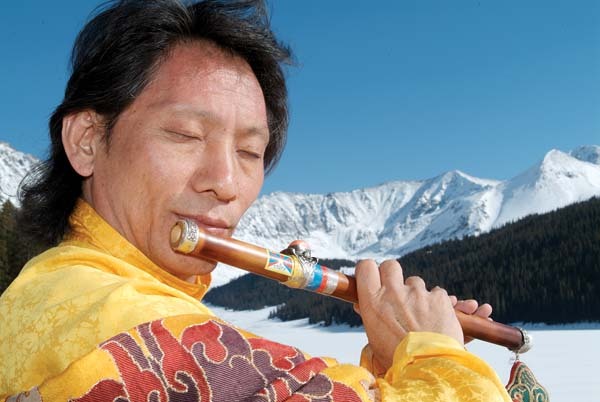 The lineup this year includes Jeff Au Hoy, Bobby Ingano, Japan’s Kiyoshi “Lion” Kobayashi, Tadashi Arakawa, Yoshiyuki Endo, Tetsuya Ishiyama, Patti Maxine, Greg Sardinha, Duke Ching and Maui steel guitarists, Joel Katz and Geri Valdriz. The son of U.S. Sen. Daniel K. Akaka, the guitarist was encouraged by his dad from a young age. Among his teachers, he studied with steel virtuoso Jerry Byrd, who had played on some of country great Hank Williams’ biggest hits, gave lessons to Jerry Garcia, and helped revive the Hawaiian steel guitar. Akaka performed for many years with Hawaiian legend Genoa Keawe at Waikiki’s Hawaiian Regent Hotel (now a Marriott). Since the late ’80s he’s played with Aunty Genoa’s son, Gary Aiko, and Kaipo Asing as Alan Akaka and the Islanders. Akaka will perform on April 28 and 29 at Ho’olaule’a programs featuring a different line-up of players in concert at the hotel, with emcees Kimo Kahoano and Kathy Collins. Kanikapila (jam) sessions will follow with the public welcome to participate by bringing their own instruments. Open stage performances will take place during both days with music performed by Hawaiian steel guitar bands from Hawaii, the Mainland and Japan. “Next Generation” steel guitarists Joey Misailidis (11 years old) and Alexis Tolentino (18 years old) will also perform. Both are students of Akaka’s Ke Kula Mele Hawaii School of Hawaiian Music. On April 30, Hawaiian steel guitarists will entertain from 9 a.m. to 1:30 p.m. at the hotel’s Sunday champagne brunch. This is the only event during the festival that has a fee. Also on April 30, select steel guitarists from Hawaii and Japan, including Akaka and Ingano, will perform at the Queen Ka’ahumanu Center from noon to 5 p.m.
“All of our festivals are free of charge to the general public,” says Akaka. “My dream is to use as many steel guitarists from Hawaii as possible and the young ones, too. That’s why we include the next generation at all my festivals, and let them listen to the old timers to get ideas and get energized. 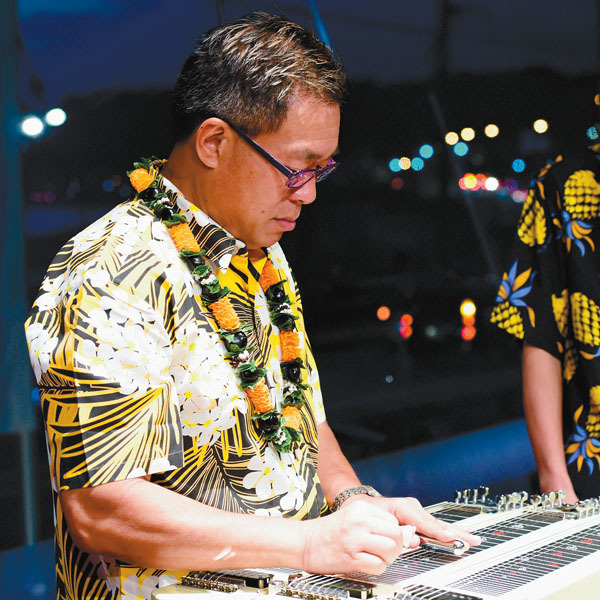 Preceding the festival, on April 26 and 27, Akaka and Sardinha will conduct a Hawaiian Steel Guitar Camp. Tuition is $200. 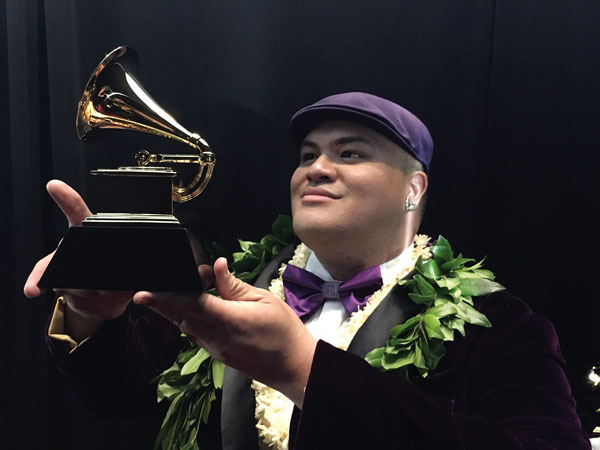 Since winning a Grammy for his superb album “E Walea,” it was obvious that Maui’s Kalani Pe’a would be similarly honored at this year’s Na Hoku Hanohano Awards. On Monday he received nine nominations including Male Vocalist, Album of the Year, Song of the Year, Haku Mele, and Most Promising Artist. 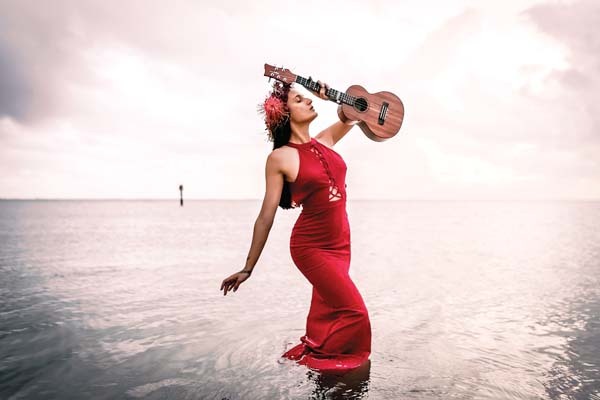 Other Maui artists nominated include Ra’iatea Helm, who received five nominations, for Female Vocalist, Album of the Year, Hawaiian Music Album, Favorite Entertainer, and Hawaiian Language Performance. Amy Gilliom was nominated for Female Vocalist, Hawaiian Music Album, and Favorite Entertainer. George Kahumoku was nominated for Hawaiian Slack Key Album and Christmas album. 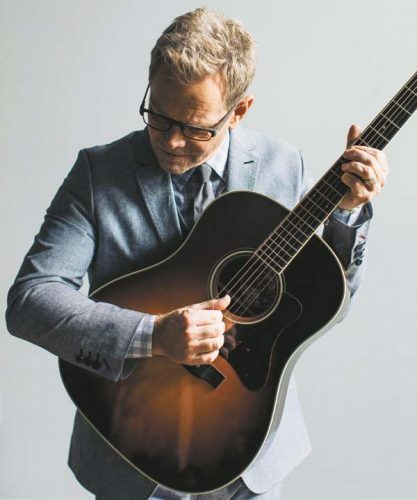 Jeff Peterson is up for Instrumental Album, Instrumental Composition, and Favorite Entertainer. Former HAPA musician Ron Kuala’au and Zanuck Lindsey, were nominated for Contemporary Album and Group of the Year. The band Matagi (featuring Marvin Tevaga) was nominated for Contemporary Album. Kanekoa was nominated for Reggae Album, and Cindy Paulos for Religious Album. Arlie-Avery Asiu and Neal Chin were both nominated for Ukulele Album, and Maoli for Anthology Album. Maui’s Kamakakehau Fernandez and Josh Tatofi, were nominated for Song of the Year, and Peter Wing was nominated for Hawaiian Slack Key Album. Last year Carlos Santana delivered a brilliant show at the Maui Arts & Cultural Center’s A&B Amphitheater. Fronting a phenomenal band, including his drummer wife, Cindy Blackman Santana, and terrific new vocalist Ray Greene (from Tower of Power), the Latin rock guitar legend electrified his audience on all levels — physical, mental, emotional and spiritual. 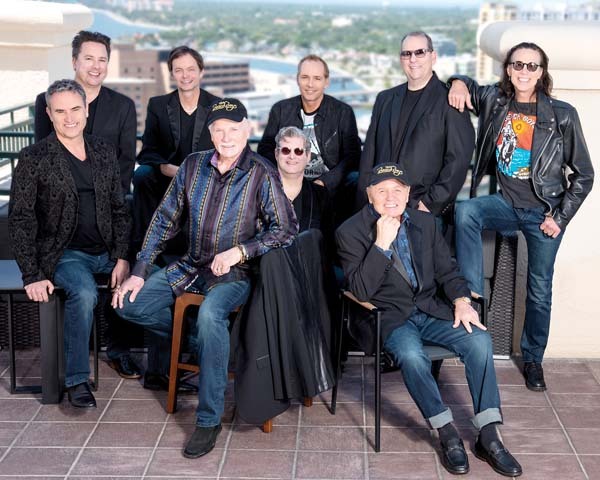 Encapsulating 45 plus years of music history, the Santana band blazed through classic essentials like “Black Magic Woman” and “Oye Como Va,” and more recent hits like “Maria Maria” and “Smooth,” repeatedly drew the audience to their feet. His current band consists of phenomenal players and includes longtime bassist/musical director Benny Rietveld (who toured with Miles Davis), keyboardist David Matthews (Etta James, Herbie Hancock), guitarist Tommy Anthony (Steve Winwood, Gloria Estefan), singer Andy Vargas (who has been with Santana since 2000), and percussionists Karl Perazzo (Cal Tjader, Dizzy Gilespie) and Paoli Mejias (Tito Puente, Chick Corea). Santana returns to the MACC on May 2. Tickets are $65, $79, $89, and $129, with a limited number of premium $149 seats (plus applicable fees). Call 242-7469 or visit www.mauiarts.org. 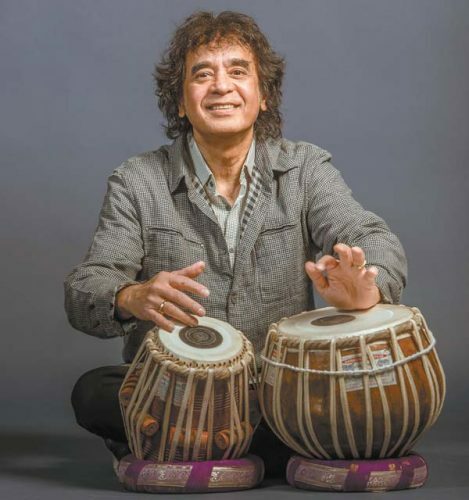 Legendary Hawaiian musician/kumu hula Robert Cazimero also returns to the MACC with his annual “Cazimero Lei Day Concert” in MACC’s Castle Theater at 7:30 p.m. on April 30. In the last few years, Robert has released two wonderful solo albums that have focused on his love for hula music. Released in 2011, “Hula” won a Hoku for Hawaiian Language Performance, while “Hula 2” earned him Hoku nominations for Hawaiian Music Album and Male Vocalist of the Year. The two discs are included in a box set, along with “Destiny,” which covers his time with brother Roland Cazimero as the acclaimed Brothers Cazimero duo. Preshow festivities will start at 5:30 p.m. in the Yokouchi Pavilion. Tickets are $12, $28, $40, and $55 plus applicable fees. Call 242-7469 or visit www.mauiarts.org. Funk/soul trio Ron Artis II & The Truth head to Charley’s Restaurant & Saloon in Paia at 9 p.m. Saturday. Ron and his brother, Thunder, have wowed Maui audiences in the past as a super talented acoustic duo. With drummer Stevon Artis and bassist Riley Pa’akaula, Ron’s electric trio is smoking hot, with his Fender Stratocaster sounding somewhere between Stevie Ray Vaughan and Jimi Hendrix. Admission is $20 in advance and $25 at the door. For more information call 579-8085 or visit www.charleysmaui.com.